In a beautiful new book from Rio Nuevo Publishers in Tucson, comes a full-color adventure, traveling out of the Four Corners in a spiral, covering 150 miles in all directions. Jim Turner, author of Four Corners USA: Wonders of the American Southwest, explains that the book is organized around the area known as the “Four Corners,” the only quadripoint in the United States where the borders of four distinct territories come together. Turner and the book’s photographer, Larry Lindahl, are aficionados of the American Southwest. 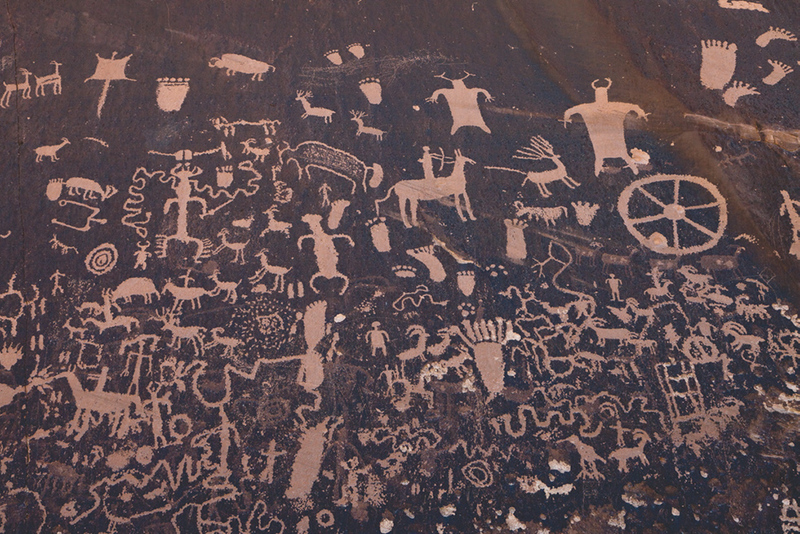 They guide the reader from the quadripoint where Arizona, Utah, Colorado, and New Mexico meet, and take a clockwise route, exploring the landscape and getting acquainted with the people who live there, from Zuni dancers to Navajo sand painters. 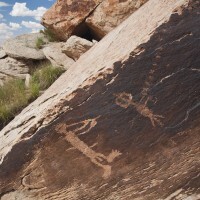 Turner, currently an author and editor for Rio Nuevo Publishers, has written several books about the Southwest, and has acted as a researcher and teacher of Arizona history for more than four decades, as well as working as an historian for the Arizona Historical Society. He is a presenter for Roads Scholars and the Arizona Humanities at conferences and conventions. Turner says trading posts were some of his favorite spots. He expressed a special fondness for Alex Benally’s trading post. 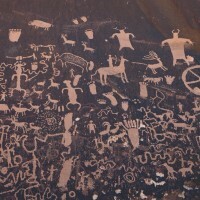 Benally is Navajo. Before he ran it, his grandmother ran the trading post at Chaco Canyon. Turner says while he was visiting, she showed up in full traditional Navajo regalia: a flowing skirt, velveteen shirt with an open collar and three-quarter sleeves, a turquoise squash blossom necklace, hair in a knot, and tennis shoes. Inside were the goods and implements for people who don’t have electricity; things such as kerosene lanterns. Turner also mentions finding white enamelware with flower patterns, which he says is popular with grandmothers. Turner, who has traveled through and written about the American Southwest for years, has a treasure trove of memories throughout the canyons and native roads, even the occasional memento that he’s picked up along the way. 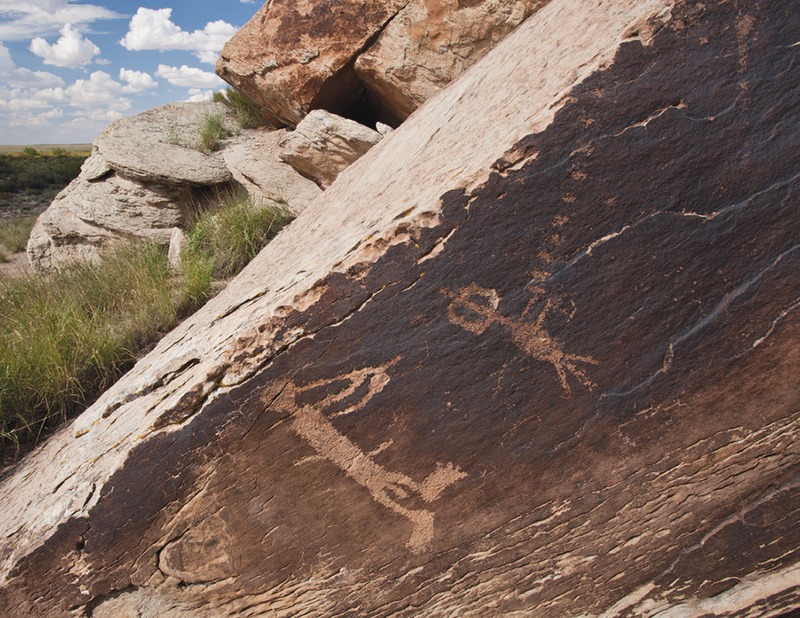 One of them is an original art work; a painted piece of sandstone with Navajo symbols he received as a gift from a man he met on a rim walk to Spider Rock as he trudged through slush on the trail at a visitor area around Canyon de Chelly. 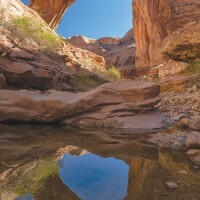 Turner’s partner in Four Corners USA: Wonders of the American Southwest, is photographer Larry Lindahl who has journeyed through some isolated and spectacular landscapes. 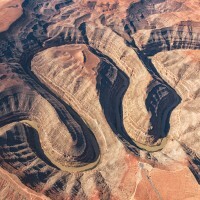 Lindahl, whose work has been exhibited by the Smithsonian Institution and is permanently on display at Petrified Forest National Park, has five books to his credit along with images in magazines, including Arizona Highways, Southwest Art, Condé Nast Traveler, Outdoor Photographer and Backpacker. He also told a tale of taking one of his favorite nature shots for the book. It’s a lot harder than it looks. In Utah, Lindahl visited Zebra Canyon. His target location was difficult to reach. So he employed trail heads and route-finding skills until he approached a narrow slot canyon. He said that entering was challenging, because it was not possible to simply put one foot in front of the other. He walked with his feet pointed outward on both sides, in cold water that was chest deep, wearing nylon hiking shorts and Chaco sandals, holding a backpack with a tripod over his head. He was greeted by a dead raven floating in the water. He believes it fell from a raven’s nest in the canyon. 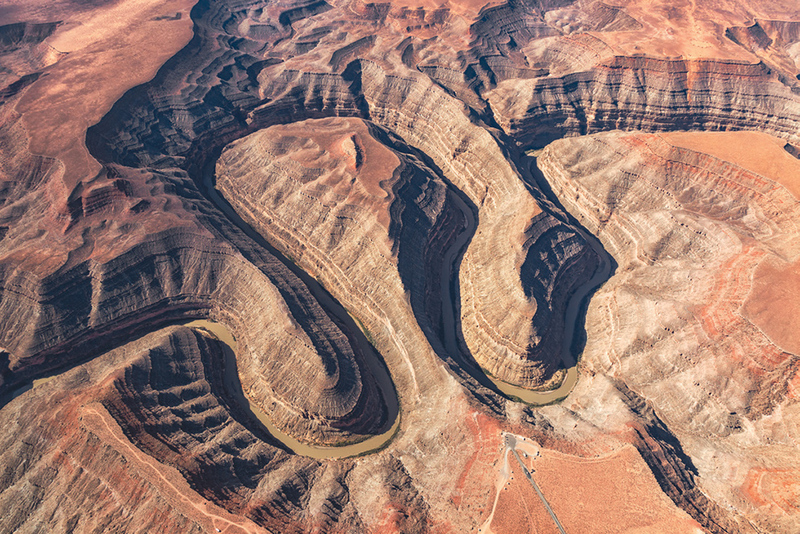 About 100 to 150 feet in, the canyon walls inverted to a sharp “V” shape. Lindahl looked for a flat surface for his tripod, turned around and faced back toward where he entered, and took a long exposure in the dark. These pictures of the Grand Staircase-Escalante National Monument can be found in the Northwest Quadrant chapter of the book. 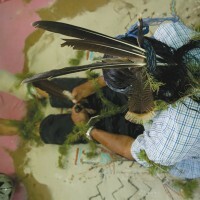 Lindahl also shared his experience at a private Navajo healing ceremony. 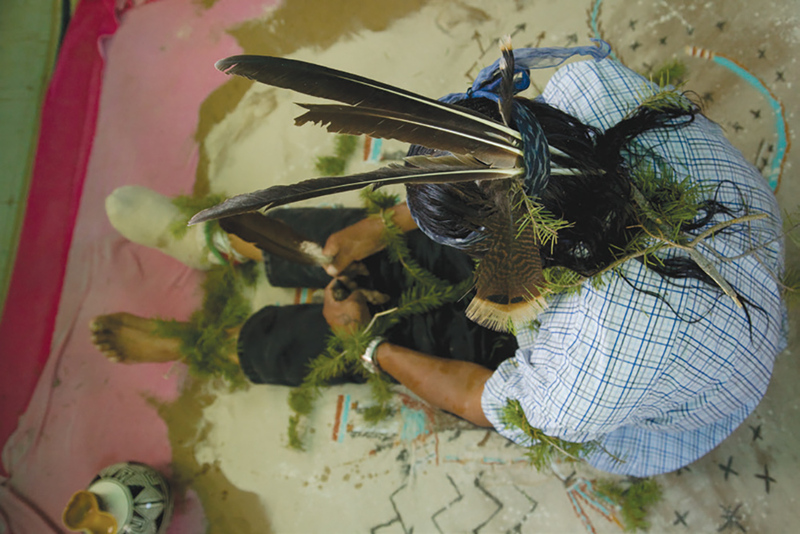 Having studied different ways of healing, he met with a shaman Navajo healer to take pictures of a sand painting ceremony in Two Gray Hills (seen in the Southwest Quadrant chapter). He said looking at the picture after he took it made him feel like he was floating, traveling through a different dimension. 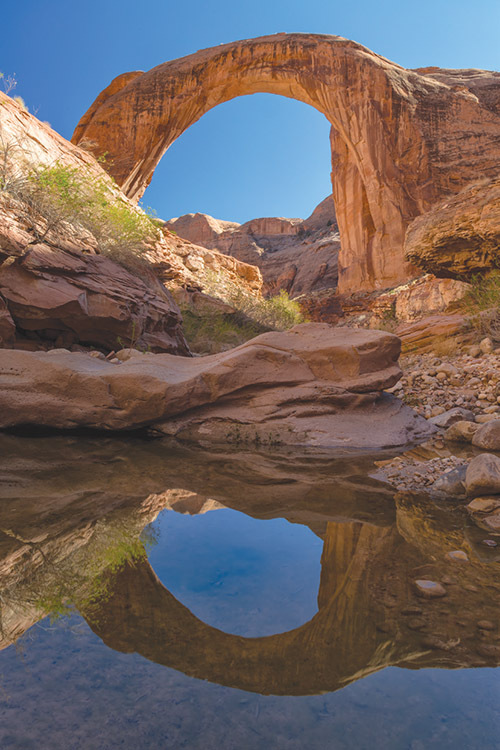 The history, beauty, peoples, and the marvelous creations of nature come together in Turner and Lindahl’s feast for the eyes, Southwest, Four Corners USA, Wonders of the American Southwest. If you haven’t yet visited the American Southwest, turn a few pages anywhere in this book and you’re likely to get hooked. If you have, you may discover some secrets this mysterious landscape has been holding onto for years.